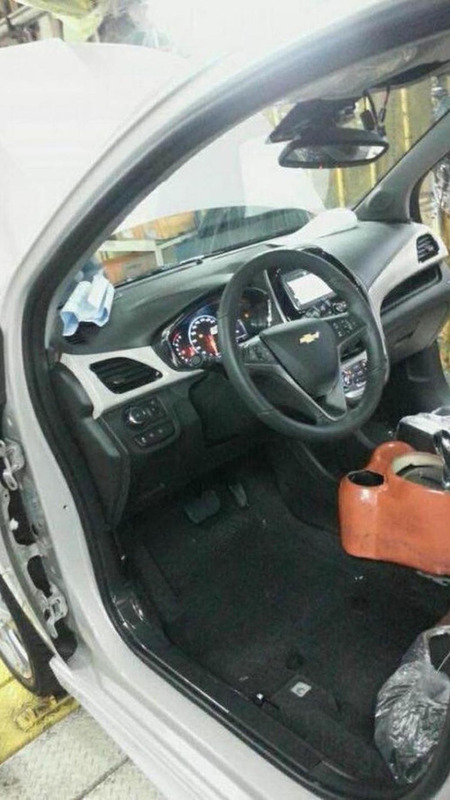 A new spy photo with the 2016 Chevrolet Spark is here to show us the interior of the vehicle with no camouflage. The picture was taken in South Korea and shows an example of the model on the production line without doors. It features a V-shaped dashboard and a new and bigger instrument cluster that replaces the old motorcycle-style panel. Also notable is the central screen for the infotainment system that is surrounded by black piano lacquer trim. The first teaser image of the model was published earlier this week with an official premiere set to take place on April 2nd at the Seoul and New York auto shows. Last month the car was photographed with no disguise, revealing the exterior design with dual-mesh radiator grille and sweptback headlights. The 2016 Spark will be based on the Opel Karl / Vauxhall Viva duo and will likely be powered by a naturally aspirated three-cylinder 1.0-liter engine with 75 HP (55 kW).